Rabri is a milk based dessert which is made by boiling milk on low flame for a long time until it thickens and changes color. 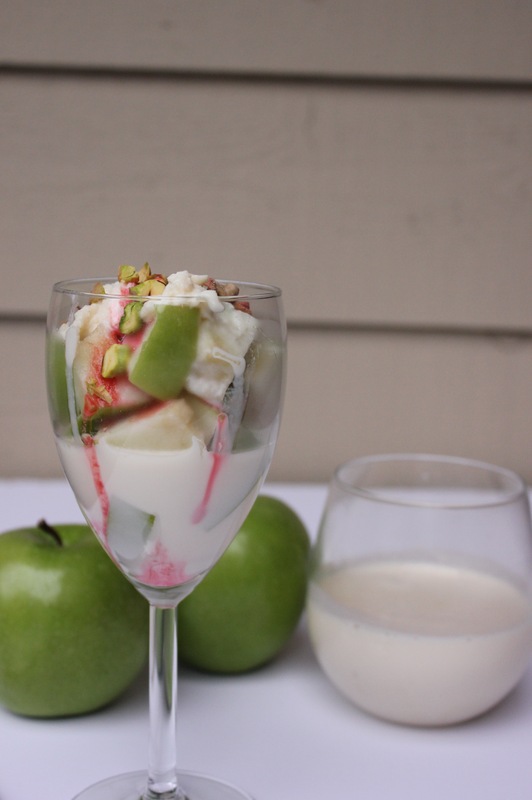 Its one of the richest Indian dessert and is also one of the easiest to make. It does take some patience and time, but trust me the end result is so worth it. Yum, yum, yum! I just had a serving of this fantastic dessert and have already started craving for one more. Boil milk and then simmer for 2 hours stirring in between. Add condensed milk and keep simmering for half an hour more. By this time, the color of milk would have changed and it must have thickened. Switch off the flame and refrigerate for atleast 2 hours. 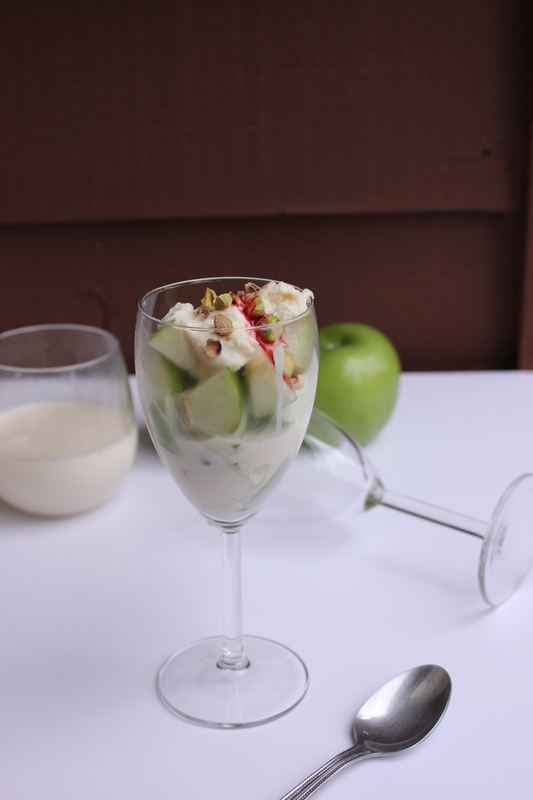 For serving, take chopped apples in a glass or bowl and add chilled rabri on top. 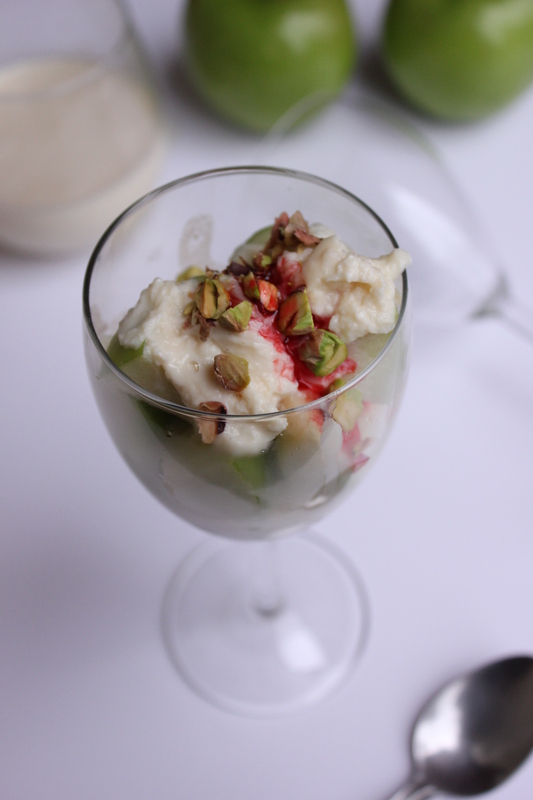 Garnish with chopped pistachios and a teaspoon of roohafza. I apologize m’am that it appears so. I just saw your blog and I must say it is beautiful! As far as the recipe is concerned, I was trying to make Apple Rabri and I failed in my attempt (milk curdled). 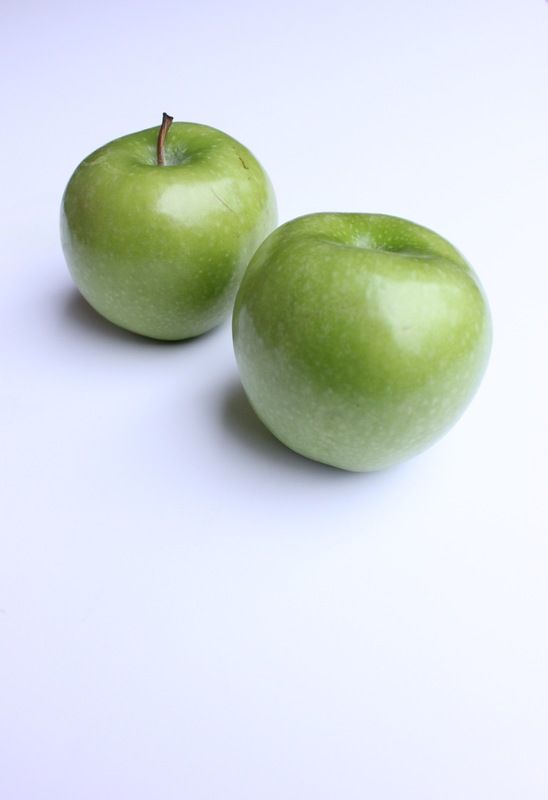 I thought that I should add apple separately to rabri to save my day. And that is when this recipe happened. I read your recipe on the link you provided and though the concept is similar, my recipe is quite different than yours. Again, I apologize if I have offended you in any way.